And while I’m dreaming, here are some of the things I have made from my gilhoolie tulip screen-printed fabric. 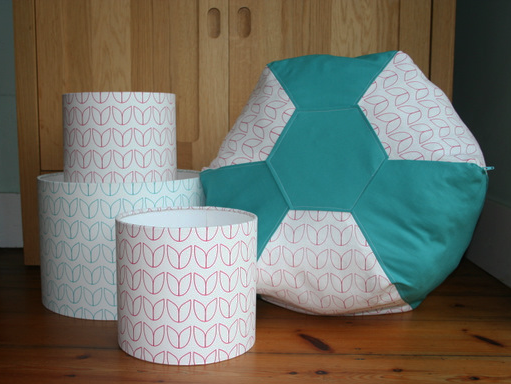 The large turquoise tulip lampshade and the pouffe are for an order I took at the shopping evening last month. They’re a Christmas gift for a little girl’s bedroom, I hope she likes Spring and tulips as much as I do!